The popular “V” hand-sign (index and middle fingers flashed upright while the rest of the fingers are folded) is the universal sign for victory. 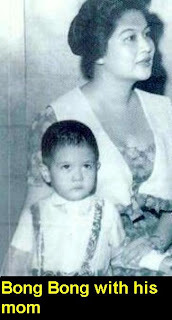 It was a trademark of the Marcos political success since 1965 until the regime’s tragic fall in 1986. Throughout the succeeding regime, this sign became infamous and was replaced by another hand-sign which provokes strife and division instead of victory and magnanimity. After 25 years, we once again proudly flash our “V” sign not only for victory but for VINDICATION. In celebration of the victory of Senator-elect Ferdinand “Bong-Bong” Marcos, Jr. and vindication of our principles, I post this article published in Lifestyle Asia magazine on their March 2006 issue. 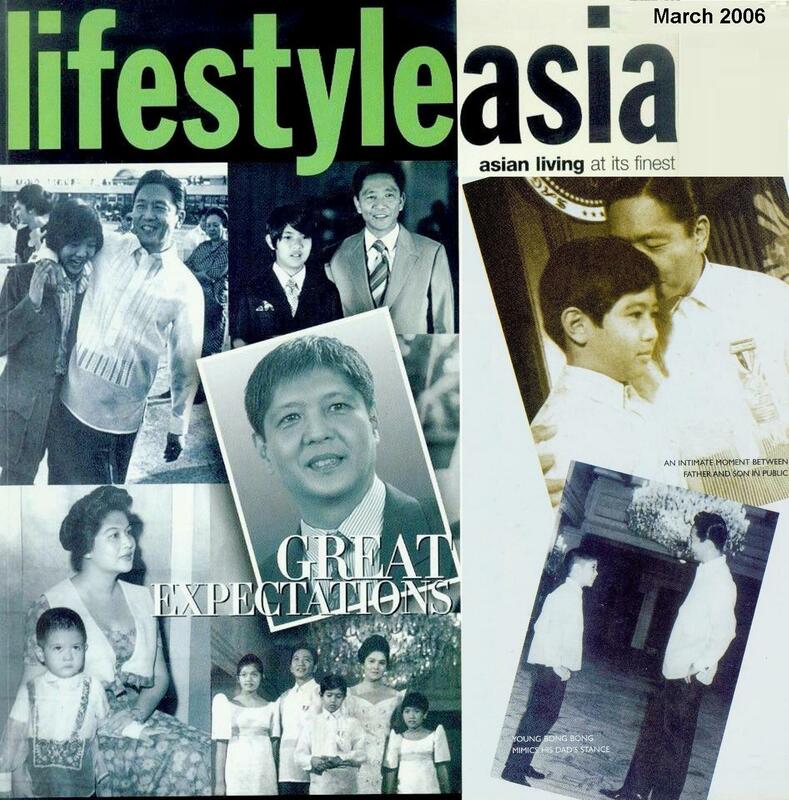 In a rare interview, Governor Bong Bong Marcos tells Lifestyle Asia magazine what life was like growing up in the palace and the UK, the world of politics he lives in, his vision for Ilocos Norte, and what it’s like being a Marcos. 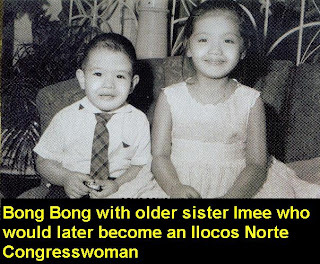 “THERE ARE PEOPLE DYING AROUND US AND YOU WANT TO TAKE a picture of me cooking?” was the incredulous remark of Governor Ferdinand “Bong Bong” Marcos Jr. during the shoot at his Suba home in Ilocos Norte. “I want people to know what is important to me,” he says, suggesting instead we go along his provincial sorties to watch and learn exactly what these things are. 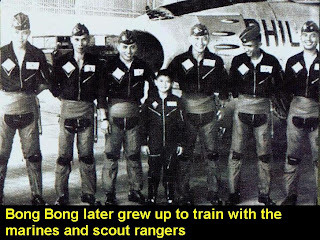 The son of former President Ferdinand Marcos, Bong Bong’s place in the public’s collective memory has always been that of a son expected to follow in his father’s footsteps. 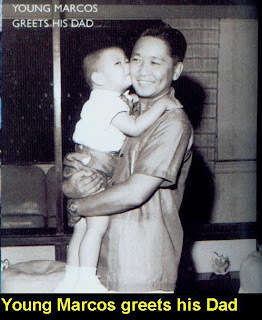 Photos of father and son were splashed regularly across the pages of national newspapers and magazines all throughout the twenty years of the Marcos presidency. Most were private moments between father and son: A day at the beach, Bong arriving home for the holidays from his British boarding school, President Marcos helping Bong with his homework or reading to his children, Bong’s first communion, a father and son camping expedition. 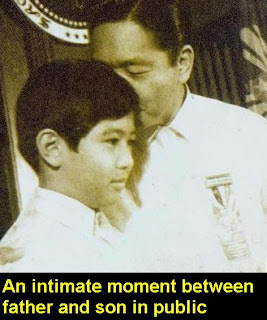 Basically milestones in the young Marcos’ life, from birth up to 1986 that has been captured by the lens providing images that have now become part of the nation’s photo album. 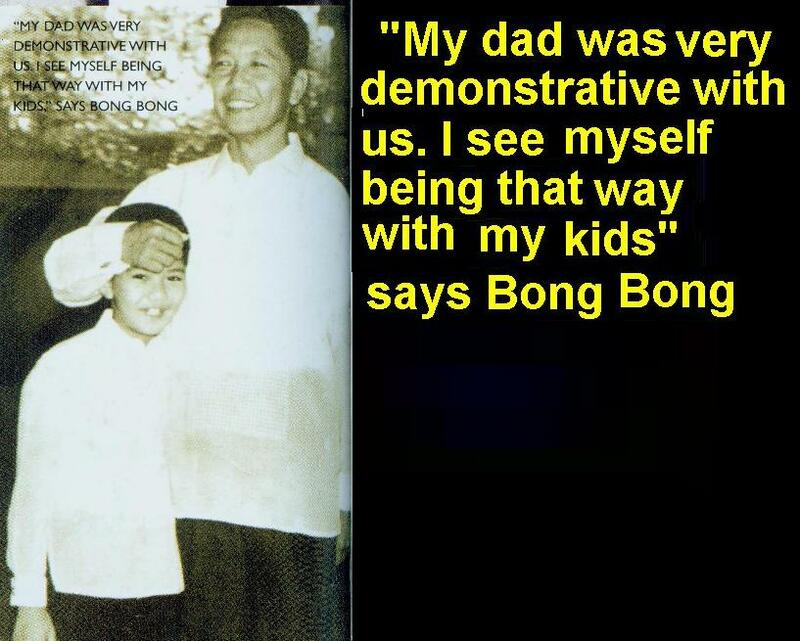 Politics aside, there’s a lot about Bong Bong Marcos that is unknown to many. To spend time in the kitchen is definitely an activity of choice for him. A meticulous cook and a demanding gourmand, he easily falls into conversation about food. “I enjoy good food and wine,” he says. 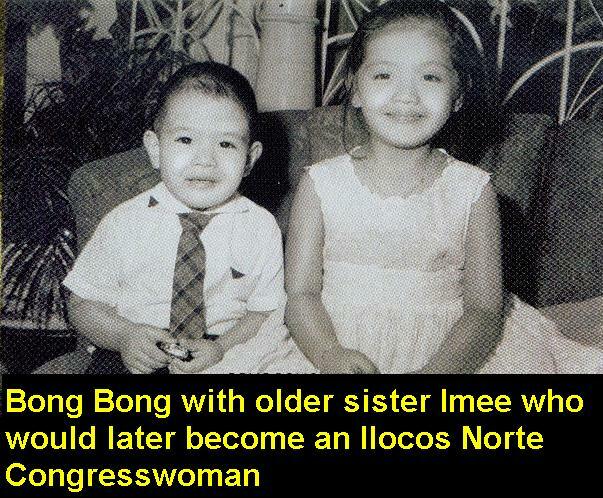 “And I love to cook,” adding that he developed an interest in cooking because of mom former First Lady Imelda Marcos. He also says that he likes giving his children Sandro (9), Simon (8), and Vincent (5) good food as a way of showing affection. 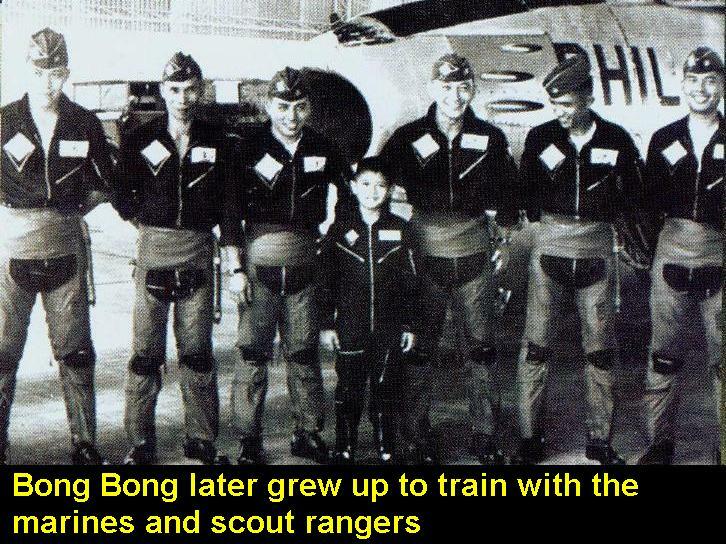 My mom did the same to me,” he recalls. Music is also an enjoyable pastime for the young Marcos. 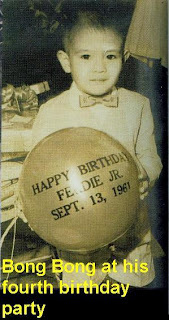 Few know he had a musical career as a teenager in the United Kingdom, where he went to boarding school, and was even a member of the musician’s union at one point. “We were unloading beer for this pub near my school for extra pocket money one day,” he recalls. “We found out the owner needed a band to play one night so we auditioned and he said okay.” He laughingly adds. “But then the owner was probably desperate because he couldn’t get anyone else, certainly not at the fees we were willing to accept!” The band played a few nights a week and soon after made rounds of the local pubs. But since all the band members were students at Worth, a boarding school for boys run by Benedictine monks in West Sussex in the UK, when school finals came, they have to go back to studying. “So that was the end of my professional music career,” he chuckles. Not bad for someone who only learned to play a musical instrument to please the school house master, who thought engaging the young man in an activity would keep him out of mischief. 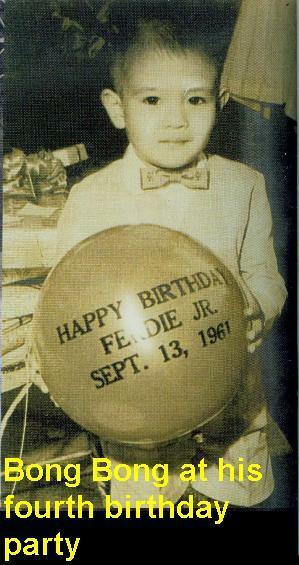 Marcos fondly recalls the housemaster telling him, “Ferdinand, you are always in trouble and need a hobby. 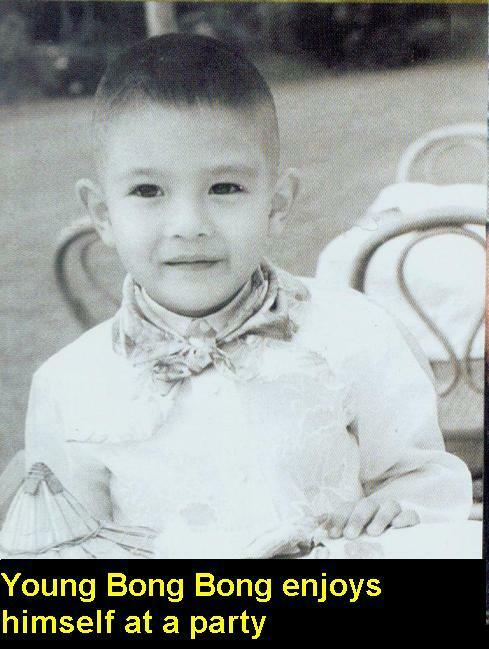 Is there anything you have always been interested in but never developed?” “Music,” he answered, and that started him on the flute, which he picked-up because it was the instrument played by the lead singer of his favorite band Jethro Tull. Marcos does not play anymore— he decided long ago to just be a dedicated amateur—but today still listens to a lot of tunes. What eventually happened were “8 years of immensely fun and enjoyable times in England” admits Marcos. “I learned a lot. 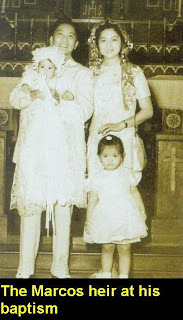 I enjoyed not being the son of the president with all its trappings. I enjoyed the difference, the slight culture shock every time I’d go back and forth. I enjoyed being in the Philippines again, and then when I left, I’d enjoy England again. My life was of course really schizophrenic because there was a very unique life in the Philippines and then this pretty much ordinary life in England.